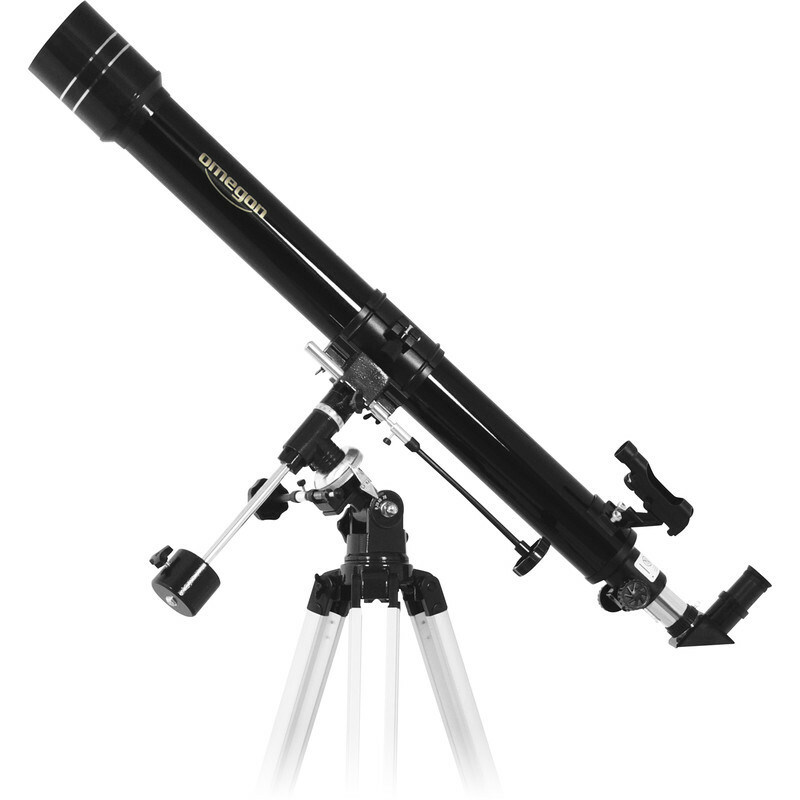 The Omegon 70/900 EQ-1 telescope is perfect for starting to observe the night sky. You can observe the moon, stars and planets, tracking them easily with the astronomical mount. 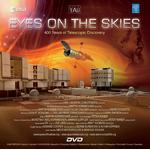 Suitable for all night owls who have always wanted to directly experience the secrets of the universe. 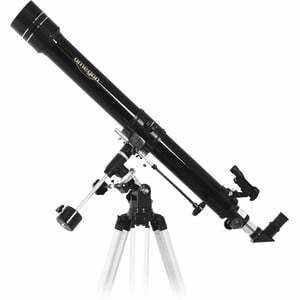 The AC 70/900 optics: With an aperture of 70mm, this refractor collects 100 times as much light as the naked eye alone, and also substantially more light than classical beginner's telescopes with apertures of only 60mm. 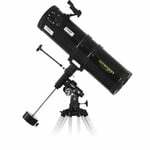 This also means it has a higher resolution and with a maximum magnification of 140X will already show you the first details when observing the large disc planets Saturn, Jupiter and Mars. Also, it is well worthwhile observing the moon; here you can beautifully observe the ever-changing cratered moonscape which, depending on the phase, always appears different. 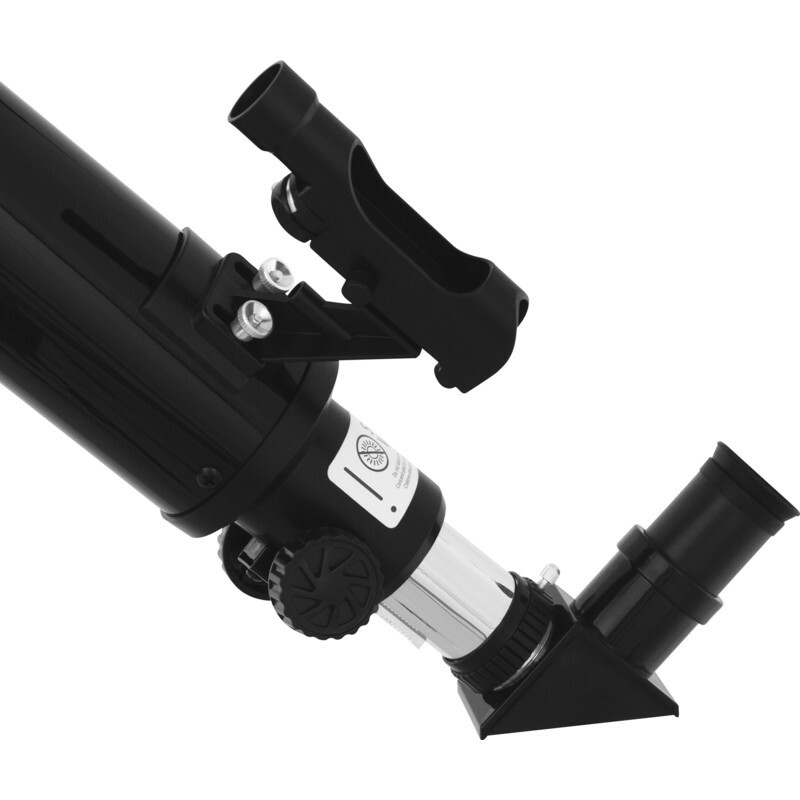 Nature watching in daylight is also possible with an erecting lens or an amici prism. Focusing takes place by means of a focus wheel on the rack-and-pinion focuser. So the sharpness can always be precisely adjusted and remains reliably fixed during the observation. 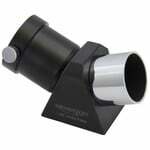 This parallactic mount provides the possibility of accurately aligning the optics to the Pole Star. 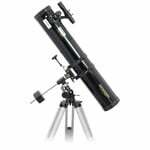 The correct polar elevation can be set for any observing site or geographical latitude. 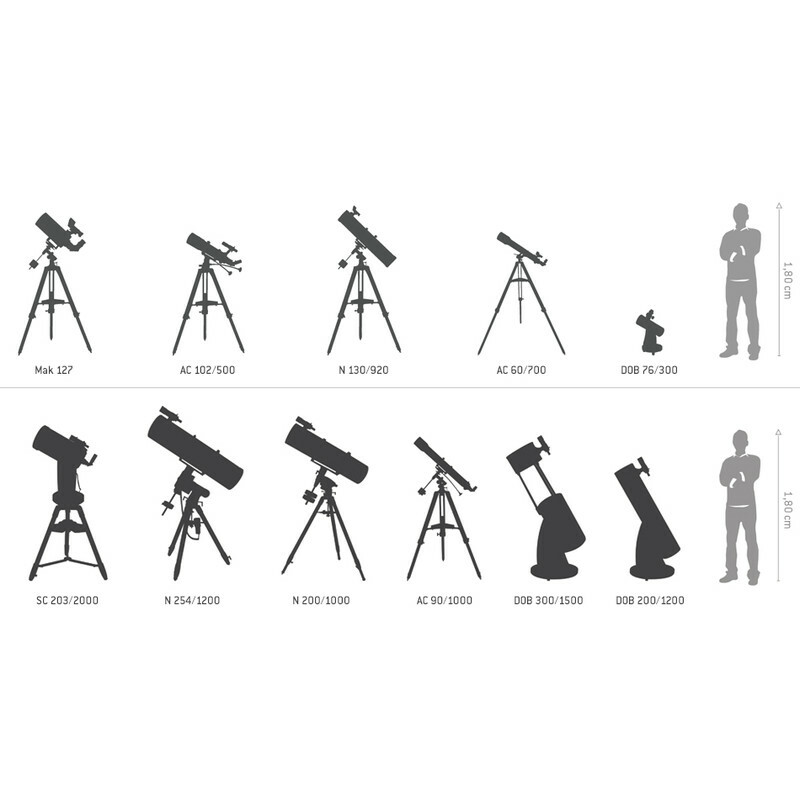 Slow motions on the Right Ascension and Declination axes allow objects to be precisely adjusted in the field of view and followed, with a counterweight provided for precise counterbalancing of the optics. 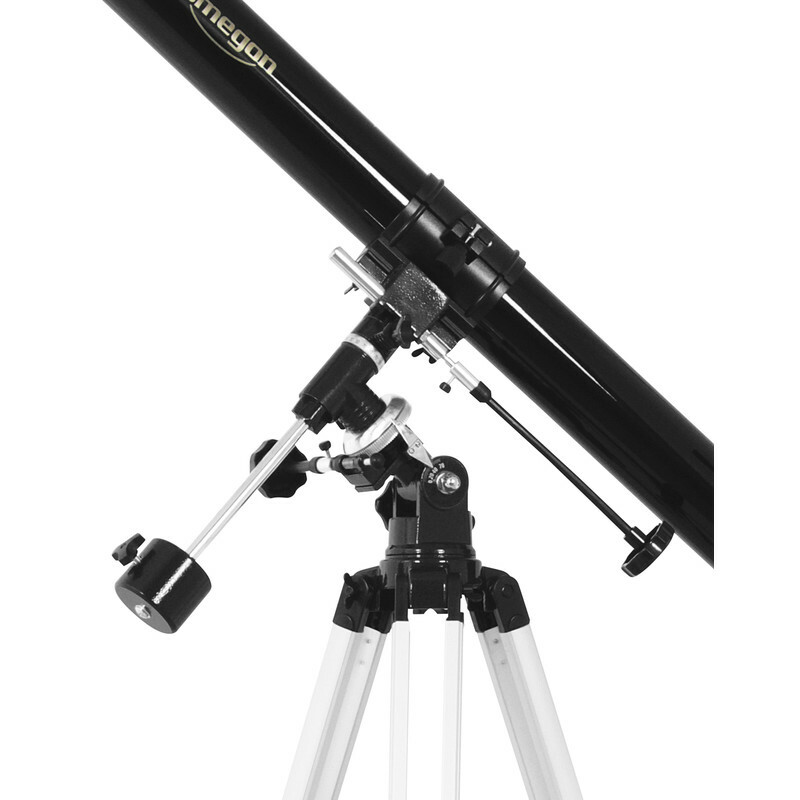 The EQ-1 mount comes as one of two variants, with a free-standing tripod or a table-top tripod. You can find more details in the technical data. 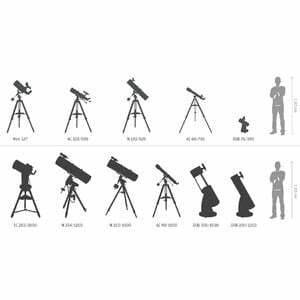 The free-standing tripod is extendable to between 70cm and 120cm high and has a tray, providing space for eyepieces and other accessories. 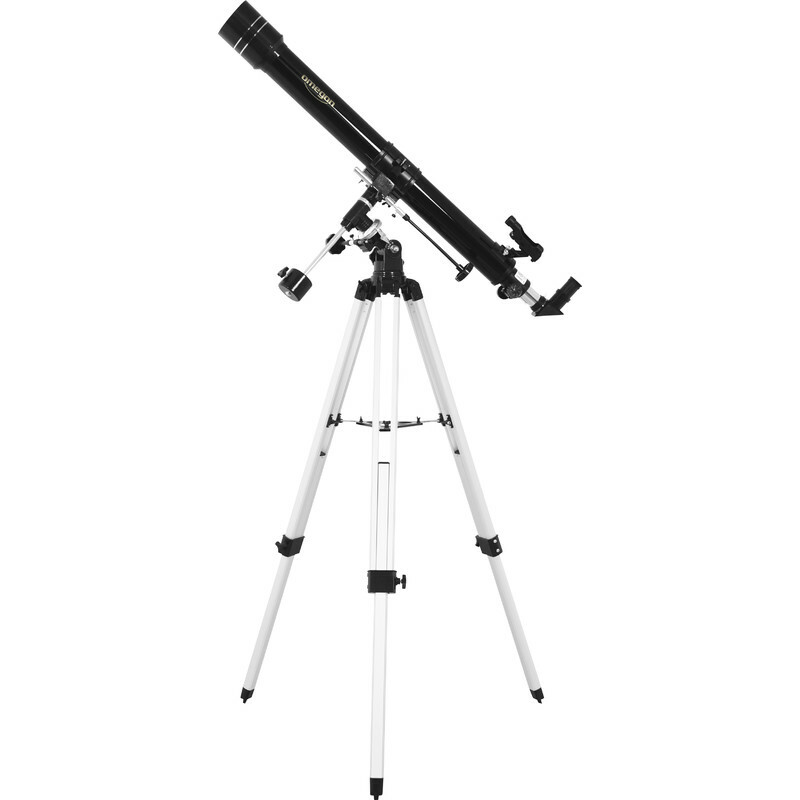 The table-top tripod is extremely compact and light, and thus ideal for trips or holidays. The smaller of the EQ mounts is extremely light and compact and can fit into virtually any travel bag. It is easy enough to set up for any beginner and can be just as easily used by children. A motor for tracking in right ascension is an optional upgrade. Special Offer - only from us: We supply this telescope with the DVD 'Eyes on the Skies', an official production for the International Year of Astronomy in 2009. The film dips into the fascinating world of the telescopes. Running time 60min, in English and German. 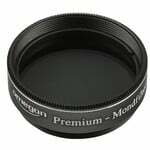 Connection ( to eyepiece) 1,25"
Omegon Amici prism 45° 1.25"